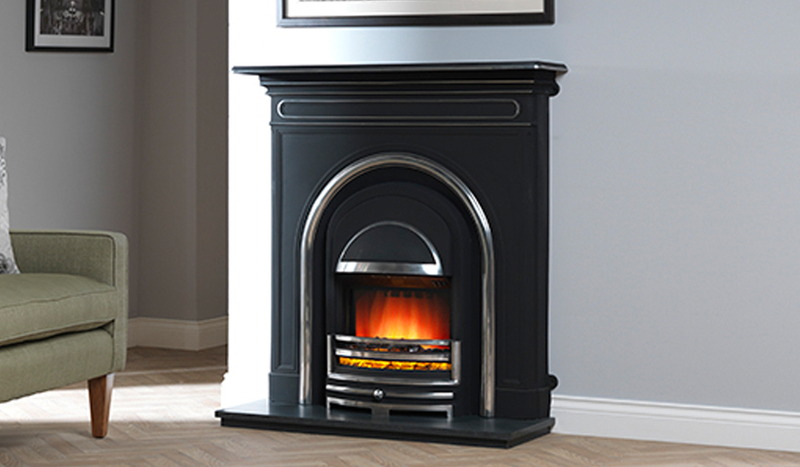 The electra combinations combine a cast fireplace with a small top shelf and a realistic Electra engine fire. The combinations are suitable for fitting against a flat wall and with a width of 44″ are ideal for a smaller living room. Other cast designs are available in this range.